As good as it gets until riding the actual new reborn Thunderbolt this May! 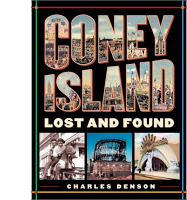 A major new addition which marks another milestone in the victory on the battle over condos in Coney Island is slated to open this May 2014 on the same location of its predecessor. 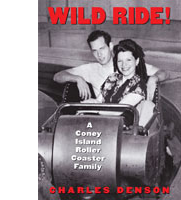 The reincarnation of the Thunderbolt roller coaster, from the original which opened in 1925 is a steel coaster built by Italian amusement firm Zamperla of Luna Park NYC. The original Thunderbolt lay abandoned for almost two decades until it was abruptly torn down in 2000 for being considered a future eye sore for the spectators of the new ball park stadium, at the time, by then NYC Mayor Rudolph Giuliani. The Luna Park operated ride, which broke ground on March 10th comes with a $10 million dollar price tag. And with a set time frame to open in just a couple of months - it demonstrates the rapidness in which coasters are built. 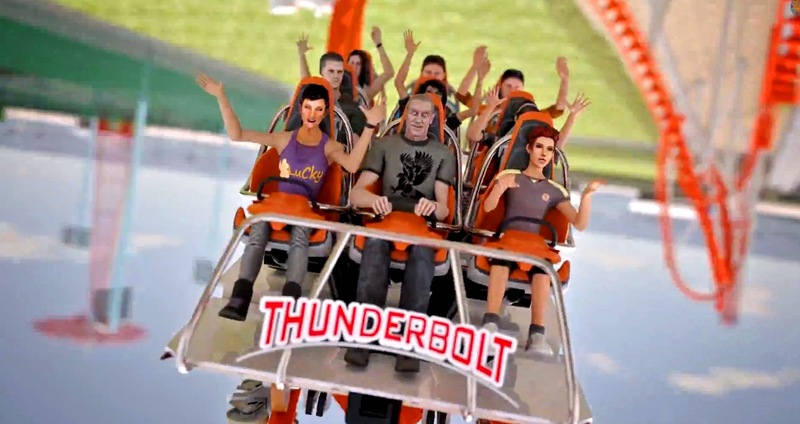 But for the time being you can get an idea of what you’ll expect with the virtual animated ride video which takes you over the 115 foot tower for a vertical drop, a loop that’s 100 foot in height, an 80-foot zero-G roll, a 112 degree over-banked turn , a Stengel dive, a dive loop, a corkscrew, and two airtime humps. The ride reaches speeds of up to 56 mph. Amusing the Zillion wonders if they should recreate the Mae Timpano house that sat at the foot of the ride and which was featured in the 1977 Woody Allen movie, “Annie Hall”. That would be a wonderful idea – perhaps a museum of the house recreating the rumble that little Allen's character felt as he ate his breakfast cereal in the kitchen. ATZ also states that this reincarnation of the Thurnderbolt Roller Coaster is the first fully custom built ride in 87 years, since the Cyclone in 1927. 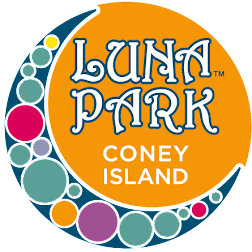 Other versions of the video can be viewed at Luna Park’sYouTube channel.